In front of the former Edsel and Eleanor Ford home in Indian Village. 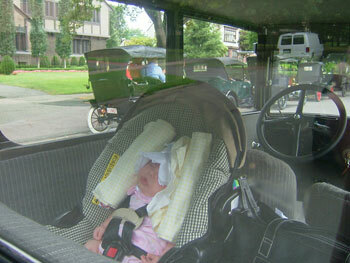 The attached photo in front of the former Edsel and Eleanor Ford home in Indian Village was taken on the Saturday, August 13 tour of 12 Ford Motor Company Model T's in an outing to Historic Indian Village by the Model T Automotive Heritage Complex's ("T-Plex") Model T Club. T-Plex owns the 1904 Ford Motor Company Piquette Avenue plant, where some 12,000 Model T's were produced, the first in 1908, before production was transferred to the new Ford Highland Park Plant in 1910. 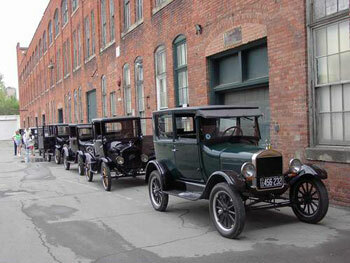 The outing was put together by Indian Villager Dr. David Coleman who led the 12 Model T's. T's participating ranged from pre-1915 brass radiator and headlight versions through Dave's 1926 Tudor and included Randy Mason's c.1920 Model T truck. 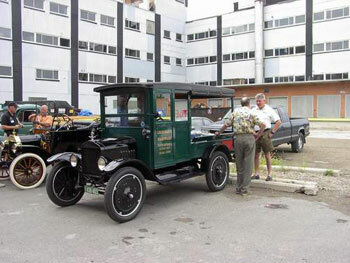 The caravan started at the Piquette Avenue plant, visited the site of the first Ford plant on Mack Avenue near Bellevue, and then proceeded to Indian Village where they toured, stopping at homes with significance to the automobile industry. 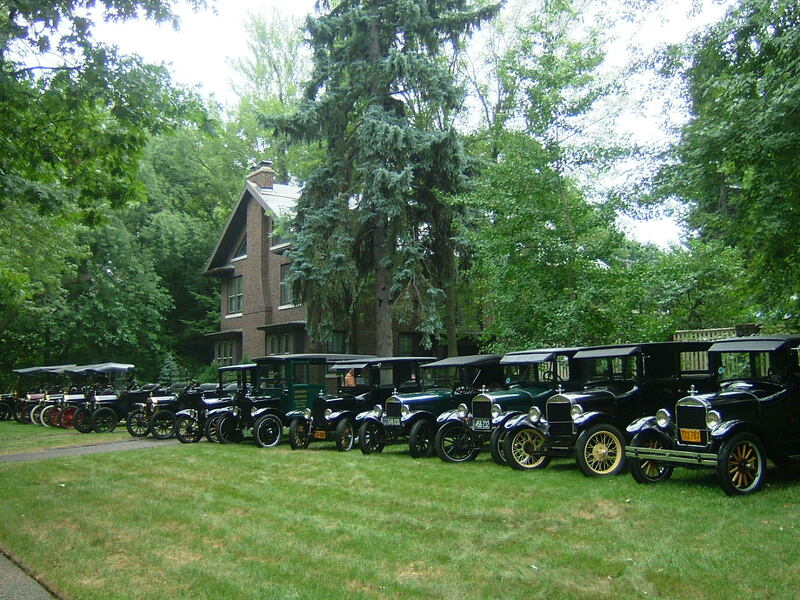 The 12 Model T's ended up at 2171 Iroquois, the "Honeymoon Cottage" of Edsel & Eleanor Ford as Edsel described it in a letter. Edsel Bryant Ford (1893-1943) was the only child of Henry and Clara Bryant Ford. 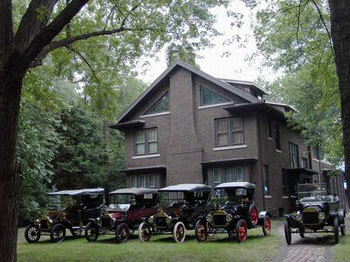 The Fords lived here from 1917 to 1921, during which time Henry Ford II and Benson Ford were born. 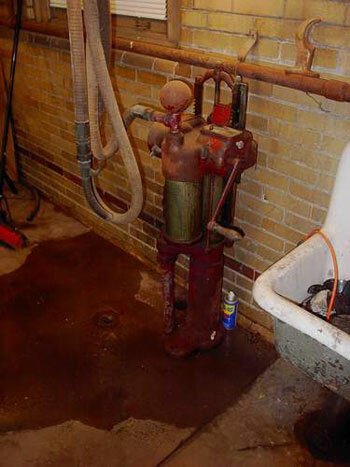 The gasoline pump in the Edsel & Eleanor Ford house garage.